Judging by the obsessive way scientists study (and media outlets subsequently report on) resveratrol, you'd think that the red wine component was literally the elixir of the fountain of youth, or maybe the active component of Ryan Gosling's blood. But a new study shows that resveratrol actually has no real effect on healthy women who are not obese. Man. I just can't keep track of who is and isn't supposed to drink red wine. A few months ago, we learned that red wine was "miraculous" for anyone with limbs (it's good for mobility); before that, it was found to be awesome for anyone with a brain (Alzheimer's prevention). 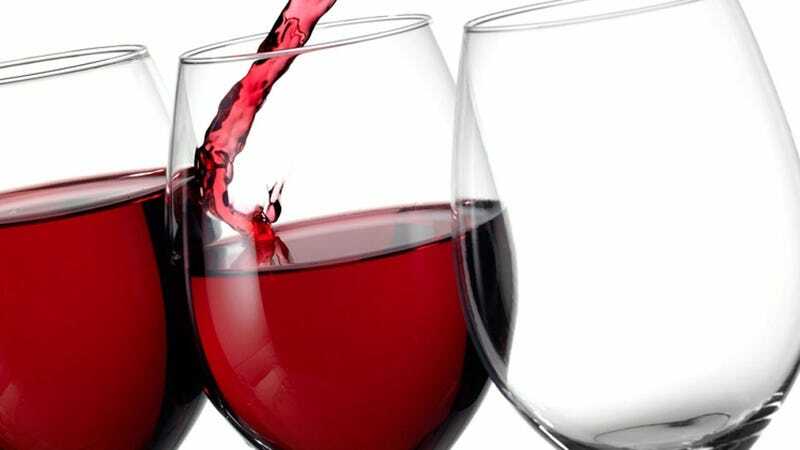 In the past, red wine has also been declared supposedly beneficial for obese men and people who live sedentary lifestyles in general. "We only show that metabolically healthy people get no benefits to begin with," he said. "We have no way of knowing whether it will prevent future metabolic complications." Mmm, vague doubletalk has never tasted so sweet.